Thanks to technology, now almost our entire world can sum up into one Smartwatch. From accessing emails to viewing notifications, our watches are not just confined to telling us time. There’s so much more that we can do! When talking about Smart watches, then not mentioning about Fitbit would be quite unfair, right? Fitbit smart watches can do a lot more than just count steps or track sleep. Fitbit’s latest model Versa is about to launch anytime soon and we’re all pretty much excited about its launch. So, this wearable smart watch company is capable of running a lot of apps to make our everyday life easier. Whether you have Ionic or are planning to buy Versa, here are the 8 must have apps for your Fitbit smartwatch that are surely worth your time and attention. Yes, we all love our Fitbit watch so much but won’t it be great if we compare our results and daily activity goals with our friends as well? Competing with friends and family is a fun way of achieving your fitness goals faster. Once you install the Leaderboard app on your Fitbit watch you can keep track of all your friends and see how far are they from achieving their fitness goals. Forget your Smartphone! Now start paying your Starbucks coffee or scone bills with Fitbit Smartwatch. All you have to do is install the Fitbit Starbucks Card feature and then tap on settings to load your 16-digit Starbucks card number. Once your account info is linked to your Starbucks app you can easily pay off bills via Fitbit smart watch. Your Fitbit watch is capable of storing up to 5 barcodes for easy access. The Barcodes app comes handy and can easily store your gym memberships, supermarket cards or any other loyalty program that you have subscribed to. Keep track of all daily headlines and news summaries right on your wrist. With New York times app you can stay updated with 10 different headlines and short summaries on your wrist, all without spending a penny. The future of tech is here! Gone are those days when we had move out from bed to switch on/off lights or control room brightness. Hue lights is your personal wireless lighting app that allows you to control Philips Hue Lights right from your Fitbit watch. So, now you can control your smart home light not just by using voice assistant, but also with your Fitbit watch. Instead of relying on Google or some other third-party service for Calendar app, you can rather stick to Fitbit’s default calendar app which comparatively has a plain and simple interface and is way easy to use. Know More: Top 5 Fitbit Trackers 2018: Which Is Best For You? 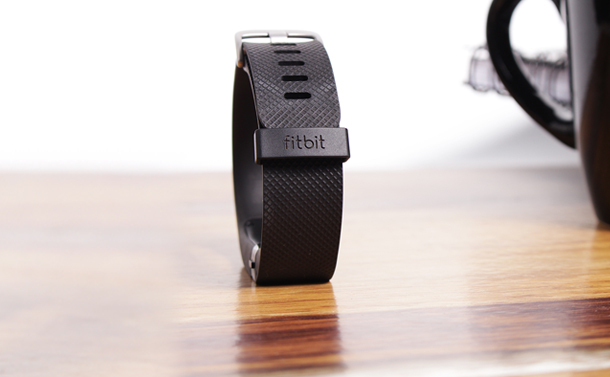 With the help of Fitbit Labs, you can access a bunch of apps developed by Fitbit OS team. All these apps are well designed to help keep you motivated or learn more about your activity habits. Here were a few must have apps for your Fitbit watch. To access more apps, you can head on to the Dashboard section of Fitbit app to see plethora of more compatible apps for your Fitbit tracker.